Ellen E. Hyatt welcomes occasions to connect with Pittsburgh, her hometown. There, Ellen became a Fellow of the Western Pennsylvania Writing Project, which encourages educators to write and value writing as a process. Ellen says putting words to paper for “The Okayest Brother” was a joy and a reminder that publishing opportunities are also a delightful part of the writing process. 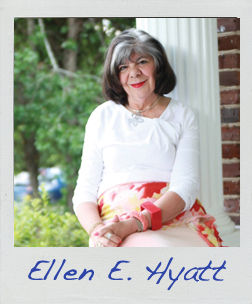 Though living in Summerville, South Carolina, the birthplace of sweet tea, Ellen avoids hosting tea parties for dolls. After the “Blue Willow incident,” she’s even refused registering for a china pattern. Recently, her husband surprised her with some miniature dishes: vintage Blue Willow. She’s vowed to keep them away from cots and cowboys. Read the first page of Ellen’s story!